Thomas McKean was born on March 19, 1734 in New London Township, Chester County in Pennsylvania, the son of William McKean and Letitia Finney. His parents were of Ulster-Scots heritage, and emigrated to Pennsylvania as children. The McKean family ancestry shows an interesting progression, from Scotland to Ireland to America. Thomas McKean’s great-great-great grandfather, William McKean, of Argyleshire, Scotland sought refuge in Ireland in the late 1600s because of religious and political persecution. His son, John McKean, a loyal defender of Londonderry in 1668-1669, died at Ballymony, Ireland. Thomas McKean’s grandfather, William McKean, came with his wife Susannah and family from Londonderry and Ballymony in 1725, and settled on a 300 acre plantation in Chester County. Thomas McKean’s father, William McKean, was born about 1705, married Letitia Finney of New London and died in 1769. He was an innkeeper in New London, and moved to the Logan plantation with his second wife where he kept a tavern until his death. Thomas McKean’s mother, Letitia Finney, was the daughter of Robert and Dorothea Finney, who emigrated from Ireland with their family and settled in New London Township before 1720. Robert purchased a plantation there in 1722 and named it Thunder Hill. Thomas McKean received his basic education at home until age nine. At this time he and his eleven year old brother, Robert, were sent to continue their education under the tutelage of Rev. Francis Allison at the New London Academy. After completing his studies Thomas went to Newcastle, Delaware to study law under his cousin, David Finney. Some months later he was appointed as a clerk to the prothonotary of the Court of Common Pleas. Through his hard work, talent and industriousness, he was admitted as an attorney in the Court of Common Pleas to Newcastle, Kent and Sussex before attaining the age of twenty-one. He subsequently was admitted to the Supreme Court also. By the time he reached his majority Thomas McKean was over six feet tall. Frequently he was see wearing a large cocked hat, fashionable at the time and was never without his gold-headed cane. It is said that he had a quick temper and a vigorous personality. He had a thin face, hawk’s nose and his eyes would be described by some as ‘hot’. Some wondered at his popularity with his clients as he was known for a “lofty and often tactless manner that antagonized many people”. He tended to be, what some might describe as a loner, seldom mixing with others except on public occasions. Both as Chief Justice and later as Governor of Pennsylvania he could be found at the center of a number of controversies. Not wanting to be over burdened with his studies Thomas on December 28, 1757 elected to join the Richard Williams company of foot. He would later rise to the rank of Colonel in the militia. At this time most officer ranks were voted on by the individual militia members and not necessarily by military accomplishments. 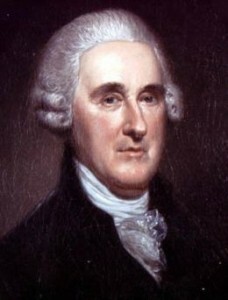 Thomas McKean was admitted to the bar in 1754 and soon became deputy attorney general and clerk of the Delaware assembly. In 1758 McKean traveled to London to further his legal studies at the Middle Temple. Returning to America McKean was elected to the House of Assembly from New Castle in 1762 and served there until 1780. He was Speaker of the Assembly from 1772 to 1779. During these years, he was also appointed Judge in the Court of Common Pleas. In July 1765 as a judge for the Court of Common Pleas he established the ruling that all court proceedings of the court be recorded on un-stamped paper. This is one of the several changes in the courts and Continental Congress he would effect during his life. Each change would have long lasting effects on the country. In 1763 Thomas married Mary Borden, his first wife. From this marriage they had six children. She died in 1773 and is buried at Immanuel Episcopal Church, New Castle. A year later he took Sarah Armitage as his second wife. They lived in Philadelphia and had four children. Recognition of McKean’s growing stature in the colonies began in 1763 when he received an honorary MA degree from the College of Pennsylvania. 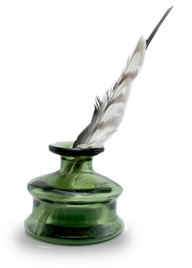 In 1766, Governor William Franklin of New Jersey admitted McKean to practice law in any of the New Jersey courts, on the recommendation of the New Jersey Supreme Court. And in 1768 he was elected to the American Philosophical Society, a distinguished intellectual society founded by Benjamin Franklin. In 1769 McKean became a trustee of the Academy of Newark, the successor to Allison’s school at New London. He received honorary degrees from Princeton in 1781, Dartmouth in 1782 and Pennsylvania in 1785. Thomas McKean and Caesar Rodney were appointed delegates to the Stamp Act Congress in 1765. It was here that Thomas made another far reaching proposal–to change the voting procedure in existence at the time. His proposal was later adopted by the Continental Congress and continues to this day in the United States Senate. His proposal was that no matter the size or population of a colony, each one would get an equal vote. During the last day of the above congress several members of the body refused to sign the memorial of rights and grievances. He rose from his seat asking why the President, Timothy Ruggles, refused to sign the document. In the ensuing debate Ruggles said and I quote, “… it was against his conscious.” The orator that he was, McKean disputed and challenged his use of the word ‘conscious’. He issued a challenge to Ruggles and a duel was accepted and witnessed by the whole body. No duel ever took place as Ruggles left early the next morning. Ruggles, now disgraced, fled back to Massachusetts where he became a leading Tory. He later moved to Nova Scotia. McKean was appointed a delegate to the First Continental Congress in 1774, and continued in Congress until the signing of the Treaty of Paris in 1783. He signed the Articles of Association in 1774 and the 1775 Olive Branch Petition seeking reconciliation with King George III. McKean served on many of the committees of the Congress. In late June 1776, when the debate for independence began, Caesar Rodney was absent, having returned home to Delaware. With George Read against it, McKean sent a dispatch to Rodney requesting he ride all night, if necessary, so as to break the tie, as Rodney was in favor of independence. Rodney arrived in time for Delaware to vote for independence on July 2, and for the Declaration of Independence on July 4. The next day, July 5th, McKean, now a Colonel in the associated militia, marched with his men to Perth Amboy to assist Washington in the defense of New York. In a letter dated July 26th he described a narrow escape of his life from cannon fire. By current road travel it is approximately seventy-five miles from Philadelphia to Perth Amboy, a good hard day’s ride at the time. As a descendent of Thomas McKean I was always told that he didn’t sign the Declaration of Independence until years later in 1781. It was only through doing the research for this biography that I learned that he may have signed on the same day as the others present on August 2, 1776. There are differences of opinion as to when Thomas McKean signed the Declaration of Independence. Many historians maintain that he was the 56th and last delegate to sign, probably in January 1777. My name is not in the printed journals of congress, as a party to the Declaration of Independence, as this, like an error in the first concoction, has vitiated most of the subsequent publications; and yet the fact is, that I was a member of congress for the state of Delaware, was personally present in congress, and voted in favor of independence on the 4th of July 1776, and signed the declaration after it had been engrossed on parchment, where my name, in my own hand writing, still appears. “… that on the 19th day of July, 1776, the congress directed that it should be engrossed on parchment, and signed by every member, and that it was so produced on the 2nd of August, and signed. This is interlined in the secret journal, in the hand of Charles Thompson, the secretary. The present secretary of state of the United States, and myself, have lately inspected the journals, and seen this. The journal was first printed by Mr. John Dunlap, in 1778, and probably copies, with the names then signed to it, were printed in August, 1776, and that Mr. Dunlap printed the names from one of them. 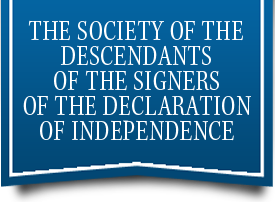 In this, McKean seems to have been mistaken, since most historians believe that only 50 delegates signed the Declaration on August 2, with documented evidence that the remaining six signed in the months following, and is so stated in the history of the period by the National Archives. McKean helped frame Delaware’s fist constitution in 1776, but because of loyalist opposition McDean was not re-elected to Congress from Delaware. In 1777 he became Chief Justice of Pennsylvania, but retained some offices in Delaware for the next six years. One of the few controversial marks against McKean, during his twenty-plus years as Chief Justice occurred in 1788. The incident occurred between him and Eleazer Oswald. Oswald, in an editorial in the newspaper where he was editor, tried to prejudice the people for him and against the court, Oswald being the defendant in the case. In the editorial he cast the justices in a very unflattering light. Incensed at Oswald’s accusations, the justices fined him ten pounds and sentenced him ‘to be imprisoned for a space of one month, that is, from the fifteenth of July to the fifteenth of August.’ At that time a month was twenty-eight days, so Oswald demanded his release by the sheriff. The sheriff, not knowing what to do, consulted McKean. McKean, not aware the sentence was for “the space of one month” ordered the sheriff to detain the prisoner until August 15th. Upon learning of his mistake McKean then reversed himself, ordering Oswald freed. The motion of impeachment set forth by Mr. Finley lost by a considerable margin. On July 10, 1781 McKean was elected President of the Continental Congress and served until November 4, 1781. This presented an interesting dilemma. The Constitution of Pennsylvania forbade the holding of two offices at the same time. It was decided that this didn’t apply to holding offices outside the State, since he was a member of Congress from Delaware and Chief Justice from Pennsylvania. It was also learned that several others were holding multiple offices. Three years after the peace treaty was signed with Great Britain, the Constitutional Convention was convened on May 14, 1787 to amend the Articles of Confederation. Several months later on September 17th the convention adjourned having settled on an entirely new Constitution. The Constitution was presented to the thirteen states for ratification, and McKean was appointed to the Pennsylvania Ratification Convention. On the 23rd he moved that the document be read in full, and repeated the request on the 24th. Even though there was some public opposition to the constitution, and at one point both McKean and James Wilson were burned in effigy, the majority of the Pennsylvania Convention approved the document, and Ratification by a majority of the States was completed by June of the next year. McKean framed the new Pennsylvania constitution in 1790. Honors continued to be bestowed on Thomas McKean. He received honorary degrees from Princeton in 1781, Dartmouth in 1782 and Pennsylvania in 1785. On December 17, 1799 McKean stepped down as Chief Justice of Pennsylvania and was elected Governor of that state. He held the office until December 20, 1808 when he retired from public office. As Governor he removed his political enemies from office, but was re-elected twice, in 1802 and 1805. On June 24, 1817, at the age of eighty-three, Thomas McKean died. At the time of his death, only five other signers of the Declaration remained alive. His remains were interred at the First Presbyterian Church, Market Street, Philadelphia, and later removed to the family vault at Laurel Hill Cemetery in Philadelphia. Thomas McKean’s gravesite received a plaque dedication by the DSDI Society on April 16, 2005. Goodrich, Charles A., “Lives of the Signers of the Declaration of Independence, 1856. Life of Hon. Thomas McKean, LL.D. This entry was posted in Delaware, Signers by state. Bookmark the permalink. Kendall, we do not track the relatives of a Signer, so I cannot provide you with any information on your relationship to the Signer, other than to say you do not appear to be a descendant. My uncle (born in Ireland) was valet to a Thomas McKean approx. 1914. Thomas was born 29th April 1869, his wife Catharine wsas born 25th November 1875 – they had at least 2 children, Nancy (b 1901) and Thomas (b 1909). Just out of interest, I would like to know whether this Thomas is connected to the tree of Thomas, one of the Signers. Anne, based on the data you have provided, The Thomas you are asking about was the GGGrandson of the Signer, Thomas McKean. This Thomas and his two children were members of the Society. I am told that my family is a direct descendant of Thomas McKean’s brother, and that Thomas McKean was my great-great-great-great uncle. I was also named after him with my middle name Thomas. Our family lives in Washington State. JOhn, we do not track the relatives of the Signers, so I cannot confirm this family story.